YOUR PARTICIPATION IN THE GoRhino LOYALTY MEMBERSHIP WILL BE GOVERNED BY THE TERMS & CONDITIONS SET OUT BELOW. IT IS THE RESPONSIBILITY OF THE MEMBER TO READ AND UNDERSTAND THEM. CHOICE OF LAW: UNLESS THE GORHINO LOYALTY CARD AGREES OTHERWISE A) THE LANGUAGE OF YOUR AGREEMENT AND ALL COMMUNICATIONS RELATING TO IT WILL BE IN ENGLISH AND B) ALL ASPECTS OF YOUR AGREEMENT, IS SUBJECT TO SOUTH AFRICAN LAW AND THE DECISION OF SOUTH AFRICAN COURTS. We reserve the right to amend these terms and conditions at any time by giving you Notice (“Notice”) by posting the amended terms and conditions on the site: www.gorhino.co.za All membership cards remain the property of GoRhino at all times. All information provided is correct at the time of publication. However no liability is offered for errors contained herein or as a result of the actions of third parties. GoRhino is a platform designed to offer you phenomenal savings, ensuring as a consumer, you always get the best deal for your Money. Please read each point of the below terms and conditions and instructions on how to use the various membership platforms. The GoRhino Loyalty Card is a loyalty program offering various, instant savings at participating restaurants and companies throughout South Africa. Members receive up to 25% off OR qualify for 2For1 off on selected days for two people per loyalty card at participating restaurants and up to 25%off per card holder at other participating establishments. Please go to www.gorhino.co.za to see what discounts apply to which restaurants and establishments during which periods and times. We reserve the right to remove or add establishments – see section headed “Participating Restaurants”. The up to 25% discount restaurant offer applies only to starters, mains and dessert (excludes side orders, takeaways, beverages and any specials on offer). The discount is not available in conjunction with any other offer the restaurant or establishment may be running at any one time. This may include set menus or any other menus other than the standard a la carte menu. Special offers advertised on the website are available only to our members who follow the booking procedure and present their membership card on arrival at the restaurant and when requesting the bill. The GoRhino Loyalty Card cannot be held responsible for correspondence sent to you which is lost or delayed in the mail. Restaurants reserve the right to request positive identification and verify the cardholder’s identity. You have accepted the terms and conditions of the GoRhino Loyalty Card telephonically and you need to adhere to these terms and conditions at all times. Your GoRhino Loyalty card is for your use exclusively and is non-transferable. Individual members of families or groups, or employees of corporate companies or other entities can only be a member in their capacity as individuals. GoRhino does not guarantee or warrant that any or all of the benefits or privileges of the program will be available at all times. GoRhino reserve the right to change, modify, limit or cancel any of the program benefits at any time. This includes increasing or decreasing any requirements for the discount or limiting the availability of discounts at certain times and periods. Special offers advertised on www.gorhino.co.za are only available to our members on present their membership card. This discount is not available in conjunction with any other offer the restaurant may be running at any one time – this may include set menus or any other menus other than the a la carte menu. The GoRhino Loyalty Card benefits are available at certain restaurants which have elected to participate in the GoRhino Loyalty Card Program (“Participating Restaurants”), provided that the participating agreement of the restaurant is unchanged. Please view our portfolio of participating restaurants at www.gorhino.co.za to see the directory key specific to the particular restaurant. We will use all reasonable endeavours to update the website to show the current particulars of participating restaurants and the terms of their availability for participation in the scheme. Participating restaurants may, however, be entitled to withdraw from the scheme or change the terms and conditions of their availability after you have become a member and we take no responsibility for any such withdrawals by participating restaurants or any such changes in their terms and conditions or availability. Members will have the benefit of any additional restaurants which join the scheme at a later date and any increase in availability of participating restaurants. GoRhino Loyalty Card members receive discounts at participating restaurants and establishments in South Africa for your full year membership as specified by the specific restaurant according to their key and seasonal availability on our website. GoRhino is not liable should the participating restaurant or establishment not adhere to the contract or its terms and conditions. Your membership card must be presented on arrival and when requesting the bill to receive the discount. When you arrive at the restaurant you can order from the normal a la carte menu and the food order needs to comprise of a main meal or starter or main meal and dessert. The discount will not apply to starters and desserts only. In certain instances, where members are dining at a Participating Restaurant, utilizing their facility, the loyalty card will not apply: on any current specials or discounted food items given by the restaurant, certain fixed menu’s, Fridays and Saturdays at specified restaurants (please see website), specified public and special holiday such as Father’s day, Mother’s day, Valentine’s day and December holidays (please see website), wet items (beverages) will not receive the discount. The food order always needs to comprise a main meal, for example a starter and main meal, or main meal and dessert, or all three. The discount will not apply to starters and desserts only. Please ensure that you present your card when paying the bill or the discount will not apply. GoRhino does not guarantee or warrant that any or all of the benefits or privileges of the program will be available at all times. GoRhino reserves the right, to change, modify, limit or cancel any of the program benefits at any time. This includes increasing or decreasing any requirements for the discount, and changing program partners. Members will be notified of any such changes. The GoRhino loyalty card discounts and benefits will not be applicable at any restaurant or establishment that is no longer a partner of the GoRhino Loyalty Card Program. GoRhino Loyalty Card discounts apply for the duration of the card and will cease after the last available month as stipulated by the card. GoRhino Loyalty Card discounts may not be transferred to any other individual, even if that other individual is also a member. GoRhino Loyalty Card discounts may only be used towards food items; no wet items will apply. It may not be used to tip the waiter or to pay for any other item as stipulated by the specified restaurant or establishment as highlighted on our website. The GoRhino Loyalty Card will not pay for losses arising from our inability to provide the services in the event of war, terrorism, invasion, insurrection, or military or usurped power or for any reason that is beyond our reasonable control. Each participating restaurant and establishment will have a specific key, indicating which times and periods the GoRhino Loyalty Card will be applicable, in order to receive the discounts. This key does vary from establishment to establishment. Please ensure that you go onto the website first and view the relevant available periods, timelines and booking procedures as well as any relevant exclusions for the use of your GoRhino Loyalty Card. Should you arrive at one of our participating restaurants or establishments outside of these stipulated time frames and periods or do not follow the various booking procedures or exclusions, the discount will not apply. Should the establishment have any issues with the GoRhino Loyalty Card members misusing or abusing their membership in any way or trying to receive discounts outside of these periods, this will be escalated to GoRhino and upon investigation you could be removed from the membership program. Some restaurants may require you to make a booking prior to dining. Please see the website www.gorhino.co.za for this information and upon booking please notify the restaurant that you are a GoRhino Loyalty Card Member. Failure to do so will prevent you from receiving your discount at the specified restaurant. Should you fail to adhere to the correct procedure, GoRhino cannot be held responsible for or liable in any way. All of our offers may only be obtained by using a valid membership card, the expiry date of which will vary and thus will always be checked at each restaurant. To avoid embarrassment please do not attempt to use expired cards. Our card is strictly non-transferable and can only be used by named members and dining partner/s. Attempted misuse will result in confiscation. GoRhino is not liable for any omissions, acts, or defaults by any of the Program Partners. Receive up to 25% off your food bill when you and one other person dine. You will receive a value up to R100 (One Hundred Rand) off your second main meal purchased OR the cheaper of the two main meals purchased, at any of the selected restaurants. Note that main meals are as defined per the restaurant’s menu. This does not include starters, desserts, salads, appetisers or kiddies meal. If the purchase is lower than the R100 discount, you will not receive any cash back for the portion not used. Your dining discount will not apply on Christmas Eve, Christmas Day, New Years’ Eve, Valentine’s Day, Mother’s Day, Father’s Day, or for other special events, promotions, or in conjunction with rates inclusive of meals. Your GoRhino Loyalty card is for your use exclusively and is not transferable and the discount will apply to two people’s food namely two starters, two mains and two desserts. The information contained in the material in our website is only for information purposes. We do not make any warranty or representation as to the accuracy or fitness for purpose of any material on this site or the reliability of the access to this Site. Neither we nor any of our directors, officers, agents, employees or other representatives will be liable for damages arising out of or in connection with the use of our Site and/or our services. This is a comprehensive limitation of liability that applies to all damages of any kind, including without limitation compensatory, direct, indirect or consequential damages, loss of data, income or profit, loss of or damage to property and claims of third parties. 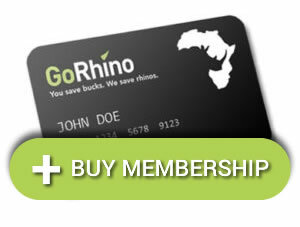 The website www.gorhino.co.za sells membership to GoRhino Loyalty online. The use of any product or service bought from this website is at the purchaser’s risk. The purchaser/user indemnifies and holds the provider harmless against any loss, injury or damages which may be sustained as a result of using the products sold on the website. The private information required for executing the orders placed through the e-commerce facility, namely the user’s personal information and credit card details, delivery address and telephone numbers will be kept in the strictest confidence by the provider and not sold or made known to third parties. Only the necessary information, that is the delivery address and contact telephone number, will be made known to third parties delivering the product. Credit card details are not kept by the provider under any circumstances. The provider cannot be held responsible for security breaches occurring on the user’s electronic device (personal computer or other electronic device used to browse the website), which may result due to the lack of adequate virus protection software or spyware that the user may inadvertently have installed on his or her device. You have the right to cancel your initial registration of membership with us within 14 days from your receipt of your membership documentation (the ‘cooling off period’). You will be entitled to a refund of your membership, upon return of your membership card, less a pro rata charge for the period of cover and our administration charge (R150). If you wish to cancel after the cooling off period has expired, and subject to any other statutory rights you may have, we will not be obliged to give refunds for any unexpired proportion of your membership. In no event do we accept liability of any description, including liability for negligence for any damages or losses including, without limitation, loss of business, revenue, profits, or consequential loss whatsoever resulting from use of or inability to use our website or the GoRhino Loyalty card. We do not provide any warranty that the website or sites which are linked to our Site are free from computer viruses or any other malicious or impairing computer program. The pages contained in the site may contain technical inaccuracies and typographical errors. The information in these pages may be updated from time to time and may at times be out of date. We do not accept any responsibility for keeping the information in these pages up to date or liability for any failure to do so. Third party goods and services: we do not vouch for those persons, companies and other organizations whose goods or services may be accessed or displayed through or on the site. We take no responsibility for bad experiences or bad food at any of the restaurants. We do not have and never intend to have any contractual involvement in your bookings or other dealings with the restaurants on our site. We will not become involved in any dispute between you and a restaurant. 2.1 The 2 for 1 movie benefits entitles the member to buy one movie ticket and receive the second movie ticket free at any 2 for 1 participating cinema outlet in South Africa, excluding 3D cinemas. 2.2 This offer is open to residents of South Africa who are valid customers of the GoRhino 2 for 1 Movie benefits. 2.3 The member must be activated and abide by the rules set out in the Terms and Conditions. 2.4 The member must use their mobile phone and Dial the allocated USSD number to access the Movie Tickets menu and request a 2 for 1 movie voucher. 2.5 The members will then select a payment method to purchase the first movie ticket. 2.6 Payment is made by Visa or MasterCard Credit Cards, Signature Debit Card (CVV present) or via airtime. 2.7 Members are only authorized to use Credit /Debit cards listed on their own names. 2.8 Upon successful payment the member will receive (2) movie tickets – the bought movie ticket and the free ticket. 2.9 These vouchers will be sent via sms to the members mobile. 2.10 The member will need to insert the voucher numbers into the self-terminal to book seats in the cinema. Vouchers must be entered only at the self-service terminal by using the “E-Voucher” option. 2.11 The member agrees that they may not attempt to use this voucher 24 (Twenty-Four) hours after receiving the voucher code, as this will constitute as fraud. 2.12 Tickets issued via the USSD cannot be exchange, sold or refunded. 2.13 This offer is valid for films as advertised by each participating cinema. 2.14 It is not valid with other promotions the cinema may have. 2.15 Original 2 for 1 Movie Cards may be required to be presented from time to time. 2.16 The benefits may be used as often as the member wishes. 2.17 Film classification rules apply and identification may be required. The cinema manager’s decision is final and standard cinema rules apply. 2.18 The member is not entitled to preferential rights over other cinema patrons. 2.19 The company is not liable for any loss suffered by the member when using the 2 for 1 benefit. The On Da House benefit entitles the member to eat at selected restaurants throughout South Africa and get the cheaper of the two main meals for free. A maximum discount of R100.00 (One Hundred Rand) will apply. 2.1. This offer is limited to On Da House members only that reside in South Africa aged 18 and over, employees of the promoter, its agents and distributors. 2.2. The On Da House benefit entitles the member to the cheaper of the two main meals free. A maximum discount of R100.00 (One Hundred Rand) will apply. 2.3. The On Da House benefit can be used multiple times in one day but not more than once in the same restaurant on the same day. 2.4. Only one On Da House card may be used per dining group. 2.5. This offer excludes Public Holidays and other Special Occasion days such as Valentines, Father’s and or Mother’s Day but not limited to these. 2.6. The On Da House benefit can be used at all participating restaurants, advance booking may be necessary at some locations. 2.7. Members may call the venue in advance of their visit, stating that they are in possession of a Card that displays the On Da House logo, to check availability, discuss the usage of the offer (restrictions may apply) and make their booking with the manager of the restaurant. 2.8. Normal restaurant cancellation procedures apply to all On Da House members. 2.9. The On Da House benefit is based on standard prices i.e. the full menu price and the restaurant has the right to exclude any specials that the restaurant may be advertising at various times. 2.10. On arrival at the venue, the On Da House card must be presented to restaurant staff in order to make use of the 2 for 1 dining offer. 2.11. The restaurant will check the validity of the members’ status and will not be required to honour the benefit if the member is not active on Token’s system. 2.12. As the card can be used for multiple visits, it must not be given to the restaurant, but simply shown as proof of possession. 2.13. The list of participating On Da House restaurants remains subject to change. An updated list of restaurants will also be available on the website. 2.14. Participating On Da House restaurant venues are all contracted to participate in the 2 for 1 Dining offer. 2.15. Participating On Da House restaurant venues reserve the right to vary prices, times and offer availability (e.g. public holidays). 2.16. Prices (if any) and information presented are valid at the time of going to press and could be subject to change. Any updates will be available on the website. Neither the Promoter, nor its agents or distributors can accept liability for lost, stolen or damaged 2 for 1 Cards and reserves the right to withdraw or amend any details and/or offers. 2.17. Photocopied, scanned, damaged or illegible 2 for 1 Cards will not be accepted. 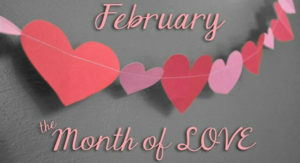 2.18. The 2 for 1 card has no monetary value, is non-transferable and cannot be used in conjunction with any other promotional restaurant offer within the restaurant or redeemed in whole or part for cash. 2.19. Neither Token, its agents nor distributors will in any circumstances be responsible or liable to compensate the purchaser or other bearer, or accept any liability for (a) any inability by the bearer to use their 2 for 1 Card properly at all or (b) the contents, accuracy or use of either this 2 for 1 Card or the venue listing, nor will any of them be liable for any personal loss or injury occurring at the venue, and (c) Token, its agents and distributors do not guarantee the quality and/or availability of the services offered by the venues and cannot be held liable for any resulting personal loss or damage. Your statutory rights are unaffected. 2.20. Token is not responsible for any offer misrepresentation (written or verbal) on warranties by anyone/group other than Token. 2.21. On Da House Card members taking advantage of this promotion do so on complete acceptance of these terms and conditions. The GoRhino mobile app is specifically designed for GoRhino loyalty cardholders/ members. This FREE app can be downloaded to any android or smart phone/ device. The app provides members with a virtual version of their card which can be presented at participating partners in place of the physical card. The app is constantly under development to suit the needs of our loyalty cardholder’s, so please stay tuned to future updates and contact us should you have any suggestions. Consumer Terms and Conditions of use. 4.4.2. We may wish to send you further offers or information by mail shot, SMS text, WAP Push, email or telephone. We may want to pass your contact details to carefully selected companies both within and outside the South African economic area who may want to send you offers and information which may be of interest to you. If you wish not to receive these please use the mechanisms provided on the facility; such as, to e-mail us info@gorhino.co.za with a request not to utilize your information in the above stipulated manner. Due to possible delays, you may still receive promotional material from us up to one month after your notification. 4.2.1. The Services are provided on an “as is” and “as available” basis and we make no warranties or representations, whether express or implied, in relation to the Services, including but not limited to, implied warranties or conditions of completeness, accuracy or currency. 4.2.2. To the fullest extent permitted by law we make no warranty that we or the Services will meet your requirements or will be uninterrupted, timely, secure or error-free. 4.2.3. To the fullest extent permitted by law we give no warranty as to results or the accuracy of any information obtained through the Services. 4.2.4. To the fullest extent permitted by law we make no warranty regarding any goods or services purchased or obtained through the Services or any transactions entered into or through it. 4.2.5. You should not act upon advice which needs individual interpretation without first consulting a suitably qualified practitioner. 4.2.6. You use the Services entirely at your own risk. We (including all group companies, our and their respective agents, employees and sub-contractors) shall not be liable to you or any other party for any losses or damages whatsoever or howsoever arising in connection with the Services (whether under this license or other contract or in consequence of any misrepresentation, misstatement or in tort or any omission including negligence). This does not affect your statutory rights. 4.3.1. Nothing in these Terms and Conditions shall exclude or limit liability for death or personal injury resulting from our negligence or that of our servants, agents or employees or any other liability which is prohibited from being excluded by law. 4.3.2. You acknowledge that we may not have control over the information which can be accessed by you using the Services and that we do not know or examine the use to which you or other Users put the Services, or the nature of the information you or other Users are sending or uploading. Subject to Clause 4.3.1 above, we therefore exclude all liability of any kind for the transmission or reception of such information of whatever nature by or to you. 4.3.4. We shall not be liable in contract, tort, negligence, or otherwise, for any loss or damage whatsoever howsoever arising from or in any way connected with your use of the Services or accessing other facilities from it, including, without limitation, damage for loss of business, loss of profits, business interruption, loss of business information, loss of data, or any other pecuniary loss (even where we have been notified by you of the possibility of such loss or damage). 4.3.5.1. GoRhino reserves the right to limit certain features and functions of the platform to prescribed Vendors and consumers. Despite the provision of the platform, GoRhino does not represent the Vendor or the Consumer in specific transactions whether or not such transactions are made on or via the platform. 4.3.5.2. At all times GoRhino will be seen as a conduit for the business between the Vendor and the Consumer and the Vendor shall be seen to be the seller and the Consumer will be seen to be the buyer. GoRhino does not control and is not liable to or responsible for the quality, safety, lawfulness or availability of the products or services offered for sale by the Vendor on the platform or the ability of the Vendor to complete a sale or the ability of a consumer to complete a purchase. 4.3.5.3. Each Vendor agrees that GoRhino shall not be liable or responsible for any damages, liabilities, costs, harms, inconveniences, business disruptions or expenditures of any kind that may arise as result of or in connection with any transaction. 4.3.5.4. Vendors and Consumers are solely responsible for all of the terms and conditions of the transactions conducted on, through or as a result of the use of the GoRhino platform. 4.3.5.5. In the event that any Vendor or Consumer has a dispute with any party to a transaction, such Consumer or Vendor agrees to release and indemnify GoRhino (and our agents, affiliates, directors, officers and employees) from all claims, demands, actions, proceedings, costs, expenses and damages (including without limitation any actual, special, incidental or consequential damages) arising out of or in connection with such dispute. 4.3.5.6.Each Consumer acknowledges that GoRhino does not pre-screen content but that GoRhino shall have the right (though not the obligation) in its sole discretion to move, modify or remove any content that is posted or uploaded on the GoRhino platform that it deems to be unsuitable for publication. 4.3.5.7. All information and/or other content posted on the GoRhino platform by Vendors, Consumers, third parties or the GoRhino call centre team is supplied for information purposes only and shall not under any circumstances be construed as a legal and binding offer. 4.4.1.3 You are responsible for obtaining all necessary consents and permissions to use this facility and access the Services offered and agrees not to impersonate any other person or entity or to use a false name or a name that you are not authorized to use. 4.4.1.4 You must choose a username and password. You are then entirely responsible for maintaining the confidentiality of your username, password and account and are fully responsible for all activities, which occur under them during your use of them. Other Users of your username and password shall be bound by these Terms and Conditions as if they were you. You agree to notify us immediately of any unauthorized use of your username or password or any other breach of security of which you become aware. 4.4.1.5 Subject to Clause 2.17 below, we reserve the right to terminate your account (including User name and password) and to re-use any e-mail or other communication address issued to you by us. 4.4.1.7.8.9 The collection of User / third party emails for the purposes of third party supply, database collation or direct marketing. 4.5 The Services are intended to appeal to a wide range of audience and as such not all of the Services are suitable for use by children. Parents and guardians are reminded of the importance of supervising young children’s use of the Services. Parents or guardians of children shall be responsible for the actions of any such children. 4.7 You understand that we may provide extra services or attributes to the Services that are subject to charge. You agree to indemnify us and our officers, directors and employees in full and immediately on demand, against all claims, liability, damages, costs and expenses, including legal fees, arising out of any breach of these Terms and Conditions by you or any other person who may be authorized by you or for whom you are responsible or any other liabilities arising out of your use or the use by any person who may be authorized by you or for whom you are responsible. 4.9.1.6 You confirm that we shall not be liable to you or any third party for any modification to or discontinuance of the Services. 4.10.1 Refunds will not be given if you select content that is not compatible with your phone. Please be sure to check you are ordering the correct content for your phone before you buy. 4.10.2 WAP enabled hand set is required: Refunds cannot be given if you purchased mobile content without first checking if your mobile phone can handle WAP, has a data enabled SIM card and has been configured correctly. 4.10.3 Refunds cannot be given if you purchased mobile content and did not receive it as a result of your SMS inbox being full. 4.10.4 Dealings with Advertisers Your correspondence with, or participation in promotions of, advertisers or merchants found on or via the Services, including payment for and delivery of related goods, services and any other terms and conditions, conditions, warranties or representations, associated with such dealings, are solely between you and such advertiser or merchant. You agree not to hold us liable for any loss or damage of any sort incurred whether directly or indirectly as the result of any such dealings or as the result of the presence of such advertisers or merchants on the Services. 4.11.1 To post, transmit or otherwise distribute any information, which would constitute conduct amounting to a criminal act, or give rise to civil liability. 4.11.2 To post, transmit or otherwise distribute software containing a virus canelbot, Trojan horse, worm, or other harmful or disruptive component. 4.11.3 To upload post, publish, transmit, reproduce or distribute any information, software, or any other information which is obtained from the site which is protected by copyright or any other intellectual property right, without obtaining prior written consent from the intellectual property right holder. 4.11.4 To use the site in an unlawful manner. 4.12.1 Competitions are open to residents of South Africa only and all entries must be made in the English language. 4.12.2 Anyone working for us or any family members or associates are prohibited from entering any competitions and also any company or any professional and / or commercial entry are similarly prohibited from entering. 4.12.3 No cash alternative is available to any prize unless expressly stated otherwise. 4.12.4 The closing date for any competition is as stated on the entry form. The judges cannot accept responsibility for late entries. 4.12.6 The editors and/or judge’s decision will be final. We will not enter into correspondence. 4.12.8 Multiple winners may be subject to tie-break to decide an outright winner. 4.12.9 Any deviation from the rules and/or attempt to manipulate the outcome of the prize will result in disqualification. 4.12.10 Winners under 18 years old require permission from a parent/guardian to take the prize and any winner may be required to submit proof of age or prove ownership and authorized use of phone. 4.12.11 Prizes are non-transferable in whole or in part, must be taken as stated and may not be sold to a third party. You must confirm acceptance of the prize as stated, failing which you will no longer be eligible for a prize, and that prize will be re-drawn/next highest score etc. 4.12.12 we accept no responsibility for any incorrect or incomplete registration details that you may supply as part of your registration and responsibility will not be accepted for undelivered, lost or delayed text messages or postal entries nor for any network errors for which there may be delays during peak time. Proof of sending is not proof of receipt. Technical or ineligible errors will void entries. 4.12.13 If any prize offered is unavailable, we reserve the right to select alternative prizes of equivalent value and we reserve the right to modify, supplement or withdraw all or part of this competition without notice and there are no refunds for abortive games. Your statutory rights are unaffected. 4.12.14 Entrants acknowledge that in consideration of the prize offered to winners by us the winning entries may be released, displayed to the public by us or any company connected with the promotion. This will be in the form of the winner’s name and city of origin. Entrants agree that we are the owner of the entire copyright, whether now existing or howsoever, arising in the future, including all the rights throughout the universe to promote, reproduce for commercial use or otherwise, edit, advertise and publicize, produce, record and reproduce by any art medium or method whether now known or later developed (‘Exploitation Rights’) to be exercised in our sole discretion throughout the world for the full term of copyright and other rights and all renewable and extension thereof including for the avoidance of doubt the right to register any design rights and / or trademarks. 4.12.15 Further, the entrant irrevocably and unconditionally waives all moral rights to which they may now or at any time in the future be entitled pursuant to any copyright and patents act and under any similar law in force from time to time anywhere in the world in respect of all works referred to herein. 4.14.1 You acknowledge and agree that all content, including but not limited to text, software, music, sound, photographs, graphics, images, video, audio clips, games etc. presented to you through the Services or advertisers site whether in whole or in part is protected by local and international copyrights, trademarks, service marks, patents, or other proprietary rights and laws and is owned or licensed to us and is vested in us or our licensors. 4.14.2 The material and content contained within the Services is for your personal use only and you agree not to (and agree not to assist or facilitate any third party to) modify, copy, reproduce, republish, frame, upload to a third party, post, transmit, distribute, commercially exploit or create derivative works of such material and content whether in whole or in part belonging to GoRhino or any third party proprietary rights and intellectual property except as provided for on the facility or expressly authorized in writing by GoRhino. All rights are reserved. 4.14.3 We have no knowledge of any infringement of copyright on our site, or in the products we provide. However, if you believe we have infringed your copyright or trademark, please contact us at info@gorhino.co.za so we can remove the offending material or rectify the situation as soon as possible. 4.22.1 GoRhino, from its office in South Africa controls this facility (the “Territory”). By accessing this facility, you accept that any disputes about this facility or its contents are to be determined by the courts having jurisdiction in the Territory in accordance with South African law (except any principle of conflict of laws inconsistent with this requirement). 4.22.2 This facility may be accessed throughout the Territory and overseas. GoRhino makes no representation that the content of this facility complies with the laws (including intellectual property laws) of any country outside the Territory. If you access this facility from outside of the Territory, you do so on your own responsibility and are responsible for ensuring compliance with all laws in the place where you are located. 4.23.2 Personal Information you enter equals consent to use. 4.23.2.1 We ask for certain information from you so that we can provide you with the best content and Services we can. That is, content and Services you want to see and hear. 4.23.3.1 We and our commercial partners may use your personal data for billing purposes or in order to serve relevant advertising to you. We may send you information, special offers and advertising by email, through SMS/MMS, within our regular newsletters, through one-off promotional offers or by telephone. 4.23.3.2 We may also sell, trade or license your personal information to trustworthy third parties (who may be located outside the South African Economic Area) in order to enable them to offer goods and Services that they think will interest you. By submitting your personal details, you consent to this transfer. 4.25.1 If you buy any products from us we will need your name, e-mail address, delivery address, credit card number and expiry date to process that order. We will also take your telephone number so that we can contact you in the event of any problems with this order and we may give this number to couriers who deliver the order. This information may be used for commercial purposes and to add to our knowledge of your likes and dislikes. 4.25.2 When you enter a competition or other promotional feature, we will take your name and e-mail address so that we can notify you if you have won. We will require your address to deliver any prizes you win. We may use this personal data in the same way as explained in clause 4.8 above. You may unsubscribe at any time by emailing info@gorhino.co.za If you win a competition or other promotional feature, then we may post your name and town in any of our associated publications. 4.26.1 By signing up and making use of any of the GoRhino Services you agree that we may send you emails, call you or we may send information to your mobile using SMS / MMS messages. If you do not want to receive the Services, then please do not complete the registration forms. 4.26.2 The SMS / MMS messages may give you an option to request further information via a phone line or through another SMS message. If you make such a request, the telephone line option will be charged at the relevant premium rate, depending on country of call and mobile operator. The SMS/MMS charge will be at the relevant standard or premium rate. Please note THERE IS NO OBLIGATION ON YOU TO MAKE SUCH A REQUEST. The service may include: news flashes, competitions, ringtones, special offers and other commercial messages. 4.26.4 For legal reasons, we will keep details of your account for 12 months or as otherwise required by law after you unsubscribe. This is in case you have cause to complain to us for any infringement of your rights or under our legal obligations with regard to copyright issues. Every time you connect to our facility we store web server logs which show your IP address (the unique number which your machine uses when it is connected to the Internet); what you looked at; whether the page request was successful or not, and which browser you used to view the pages. The use of this data is strictly for statistical purposes and personalization purposes only. This helps us understand which areas of the site are of particular interest and also which pages are not being requested. It also tells us how many hits and page requests we get. 4.31.1 We comply with the data protection laws of the countries in which we operate. 4.31.2 We reserve the right to access and disclose your personal data to comply with applicable laws and lawful government requests, to operate our systems properly or to protect our users. We also reserve the right to disclose individually identifiable information to third parties where a complaint arises concerning your use on our facility(s) and that use is deemed inconsistent with our terms and conditions.